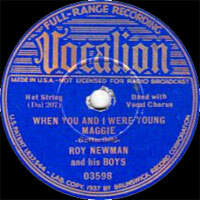 Groupe Western Swing US dirigé par Roy Newman (12 Novembre 1889 à Dallas (Texas) - 23 Février 1981). 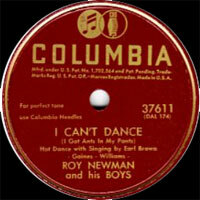 Roy Newman was a western swing bandleader whose outfit was making records before Bob Wills, and was already broadening the boundaries of western swing before they were defined. 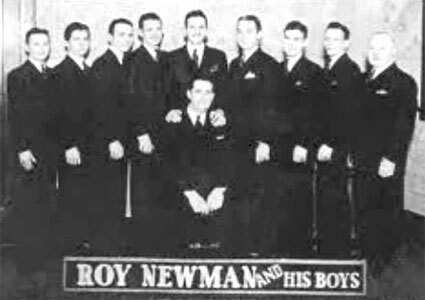 Roy Newman & His Boys had a sound was also just about the least countrified of major western swing artists, being more Dixieland in character, especially in their use of the clarinet. 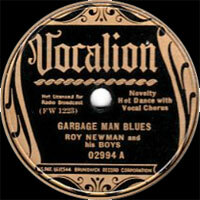 Their singles, mostly done for VOCALION, included "Devil with the Devil," "I Can't Dance (I Got Ants in My Pants)," and a version of "Everybody's Trying To Be My Baby." The attribution of the latter song to Newman as an original, as is made in the notes to Rhino's Texas Music Vol. 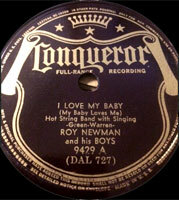 2 collection, however, is patently wrong, as his 1938 recording was made two years after fellow Texan Rex Griffin version of "Everybody's Trying To Be My Baby," which can more safely be considered original. 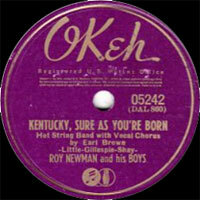 The other members of Newman's band, circa late 1938, included Gene Sullivan (Vocalss) and Holly Horton (clarinet), with additional players who may have included Cecil Brower (fiddle), Jim Boyd (guitar), Walter Kirkes (banjo), and Ish Irwin (bass).